So I am watching people stream The Overwatch and while I have no doubt in my mind I will like the game because they have a lot of classes and gameplay modes. In less than 5 minutes I notice how this game reminded me of Team Fortress 2. Now I get the feeling really I'm just paying for an expensive version of TF2. I guess its not a bad thing since I haven't played TF2 in years and its a pretty outdated game. But I feel like people are seriously over hyping this game when all it seems to be is a nice version of the game. 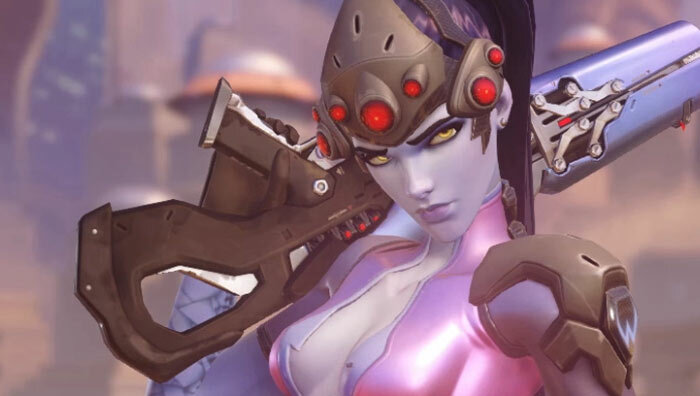 As I said earlier I am sure the Overwatch is going to be a good game, maybe even great. And I am sure they will add elements to the game that make it unique but so far all I see is TF2. Edited because the deed is done. Also, mild interest in this. I'm very upset I never received any notification about early access to the open beta for pre-ordering. Just have to wait until the weekend like everyone else. @missRPGirl: Blizzard replied to the Team Fortress 2 comparison back in BlizzCon 2014. Overwatch is very much like the president said "Blizzard, the game"
If you are a Blizzard fan, you are going to enjoy it. If you aren't the biggest Blizzard fan, you can probably still at least respect it. Having played so many Blizzard games over the years I'm somewhat ambiguous as to how I feel about it. I think it'll be plenty of fun and I'm sure lots of people will enjoy it, I may even hop in a few matches, but it's hard to justify expending even more on Blizzard games I feel considering how much has been already spent by myself on WoW and such. I kind of always gravitate to WoW in many ways at any rate, just something about that world that was so amazingly appealing to me. Tried the beta last night. Fun stuff, handles well (though the lack of aiming down sight disturbs me), and fairly fast paced. Lots of characters to mess with, all somewhat different from one another with ups and downs each. I'd say try it out, but I don't expect to be buying it, as it ends up being a very simple experience unless you live for multiplayer versus shooters. I just can't trust them with this. It helped that I was a rogue though. As for as Overwatch goes honestly I think they're kind of limiting themselves by kind of using Tracer for most of the promotional stuff, they made quite a few interesting characters, IMO. Actually she is showing up more and more these days though. Speaking of Blizzard did anyone else Squee uncontrollably when Sylvannas showed up in the Legion trailer? Like um, these people? I dunno. Heroes of the Storm is still the only MOBA that doesn't make me want to burn the genre to the ground. Its basically TF2 but it's really well done. There is really nothing different here but the classes are fun, the abilities are awesome, and the map design is great. It's a really fun class.based shooter. There are two concerns I have. First in terms of competitive play the game is going to be a nightmare to balance. Some heroes are just to strong and out class everyone in their respective class and in the right hands dominate everyone. This including Mei (the ice girl), Bastion the robot turret, Reinhart the hammer guy, the DJ healer(aka Eddy from Tekken), the cowboy , Tracer, and Gengi the ninja. Comp teams are prob going to run some combination of these heroes. Not to say the others are boring they're not they just can't keep up. 2. The thing TF2 has going for it which keeps the shooter going forever and I see this with all shooters is Steam Workshop. The ability to make your own maps and junk for the game and the ease of allowing your friends to play these mods just keeps the replayability going forever. You don't need to wait for the developer to make anything, you or the player base will make it. Overwatch will never have this which will kill the game in the long-term just like a lot of shooters. Modding is why games like Quake 2 and 3, Unreal, Counterstrike (and all half life games) lasted so long after they were released. Bastion is ridiculous. If the defending side has 2+ Bastions it's hardly even worth making the effort. 90% of the games I've played have had a Bastion player win PotG. Genji is the hard counter to Bastion, the sword bullet reflect kills the Bastion in half a second which is why I added Genji to the list. But yeah your right if your playing Bastion and your not firing at a Genji your just going to rack up kill after kill after kill. Worse even when a Reinheart just shields the Bastion all day long.